Fiesta Inn is a very modern and contemporary designed hotel that meets all the needs of business and leisure travellers as well. It's perfectly located to allow for both ease of access and area exploration. The hotel provides 142 exclusive and luxurious rooms that provide amazing comfort and include a Wi-Fi connection so you can stay up to date, a coffeemaker, air-conditioning and a flat screen TV for entertainment. You can choose from the three types of rooms, superior king size, superior double size and junior suite. The hotel also offers a unique room for people with special mobility needs. 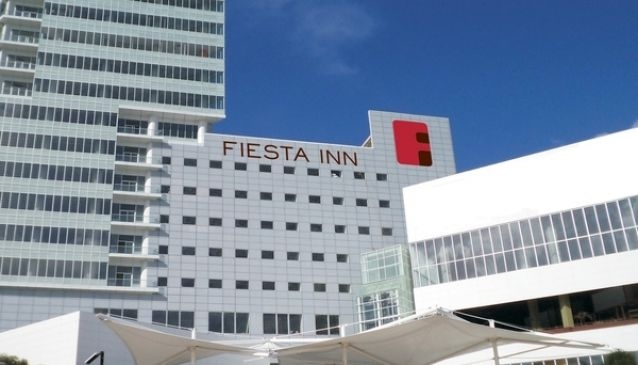 Business persons will find out that this hotel is perfect for that business stay in Cancun, since Fiesta Inn includes several event and meeting rooms that can accommodate up to 300 people. La Isla restaurant offers 24 hour service perfect for lunch, dinner and those late night snacks.